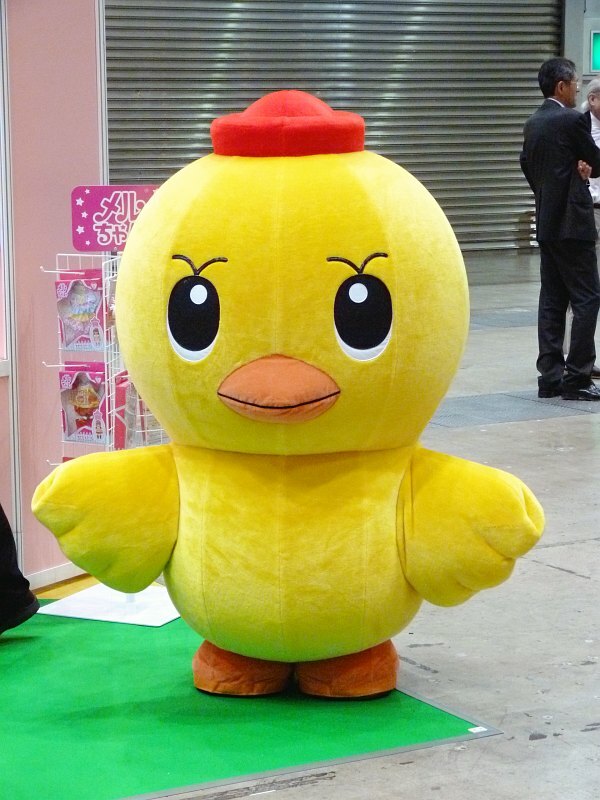 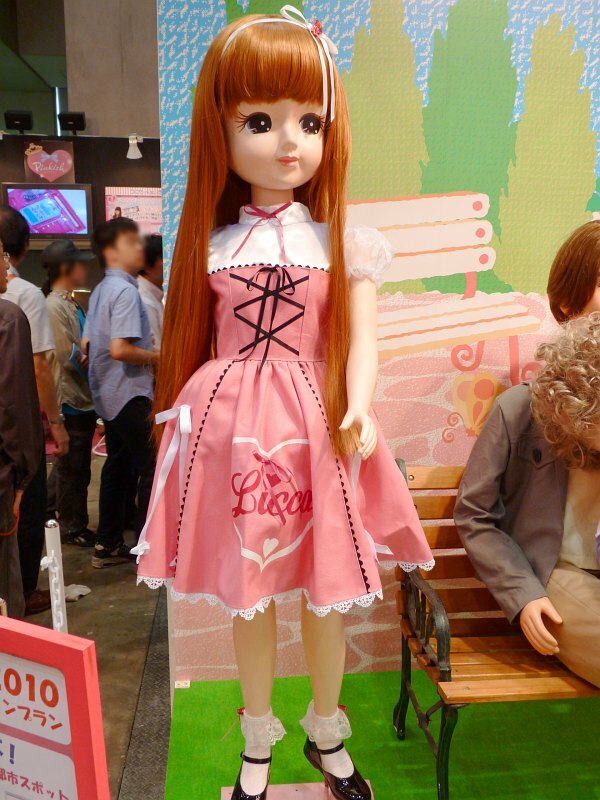 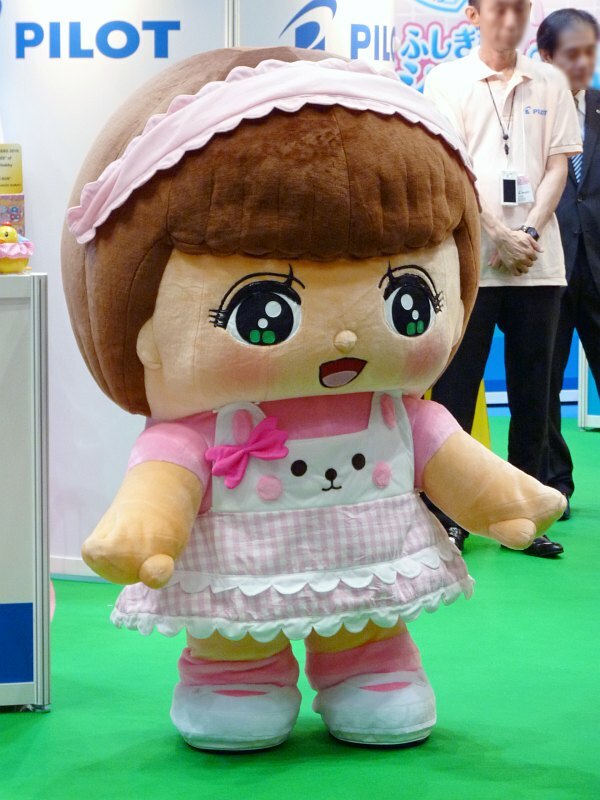 Huge dolls and models, some of them life-sized, of popular anime/tokusatsu heroes, heroines, robots and monsters were on display at Tokyo Toy Show 2010 to attract the visitors' eyes. This one looks like something you'll find in a Madame Tussaud's, but it's actually a life-sized plastic figure, not a wax sculpture. 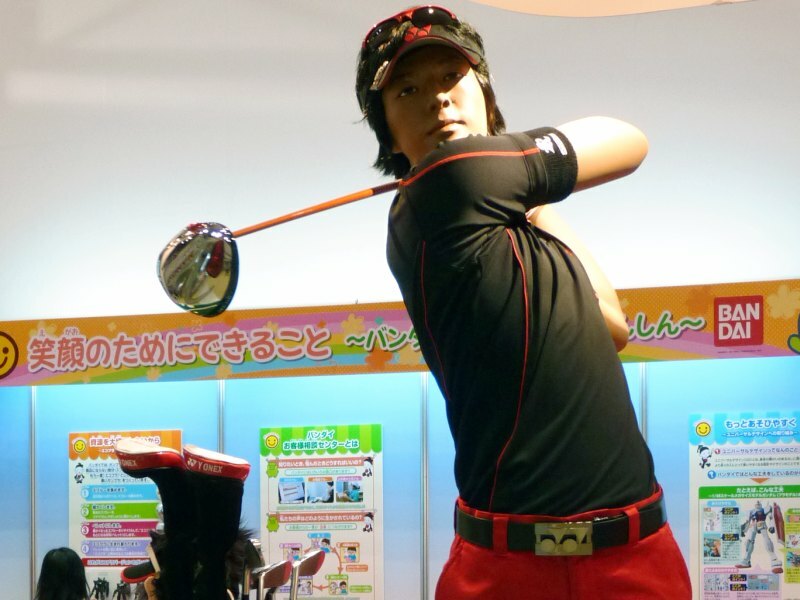 The model is teenage professional golfer Ryo Ishikawa who's one of the most popular athlete in Japan at the moment. 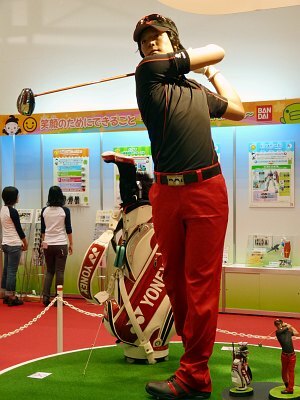 His life-sized figure is here to promote his 1/6 scale figure which is to be released this autumn by Bandai. 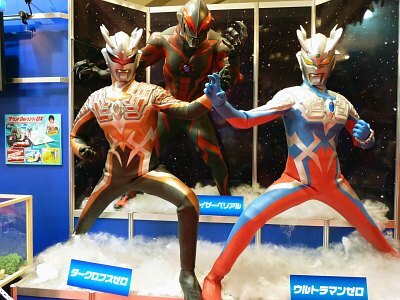 Darclops Zero(left), Ultraman Zero(right) and Kaiser Belial from upcoming tokusatsu flick Ultraman Zero The Movie: Super Deciding Fight! The Belial Galactic Empire. 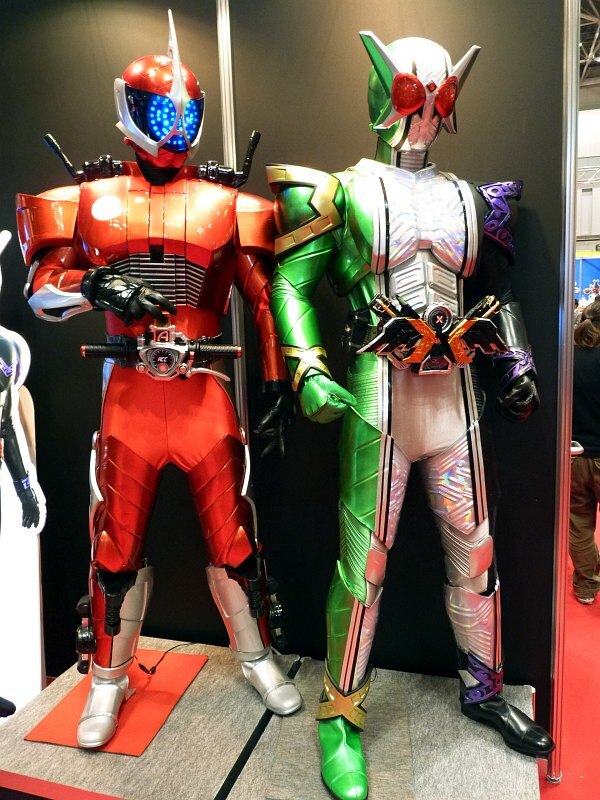 Kamen Rider Accel(left) and Kamen Rider Double CycloneJoker Xtreme(right) from Kamen Rider Double. 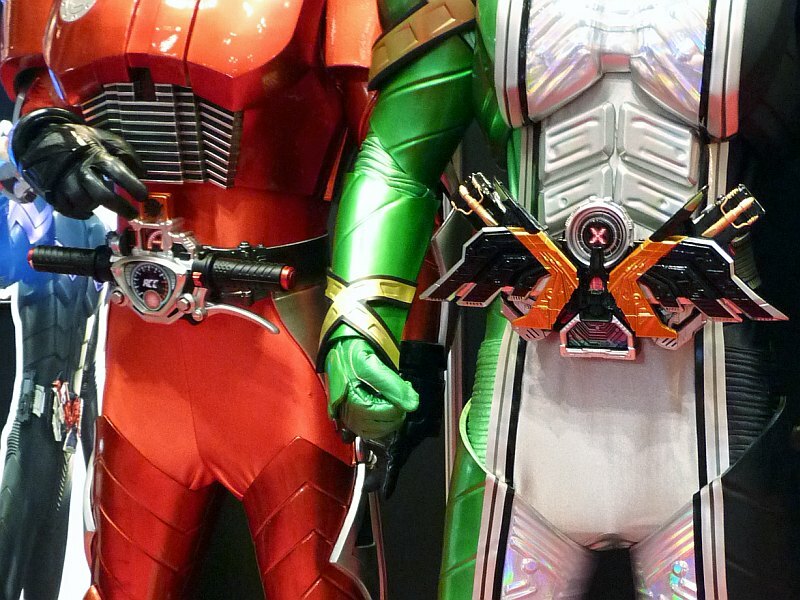 Kamen Rider Accel's belt buckle looks like a motorcycle's handlebar. 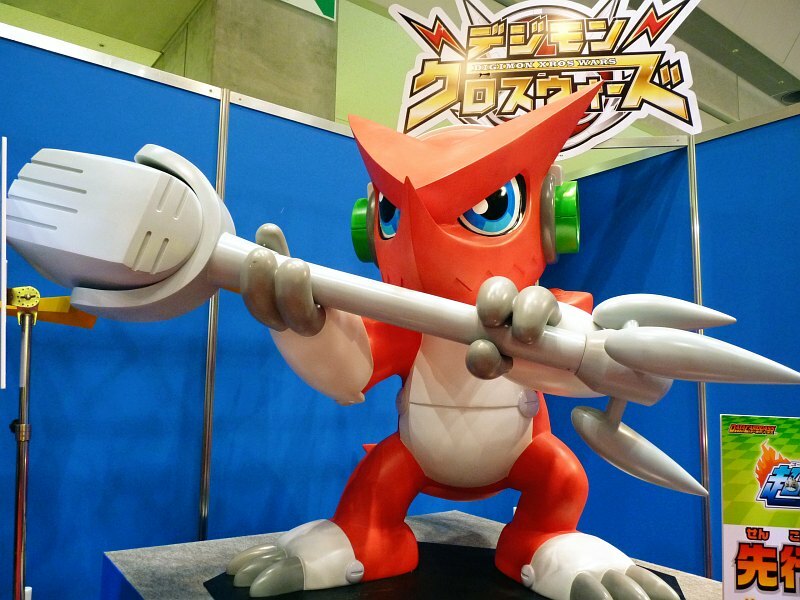 Shoutmon from Digimon Xros Wars. 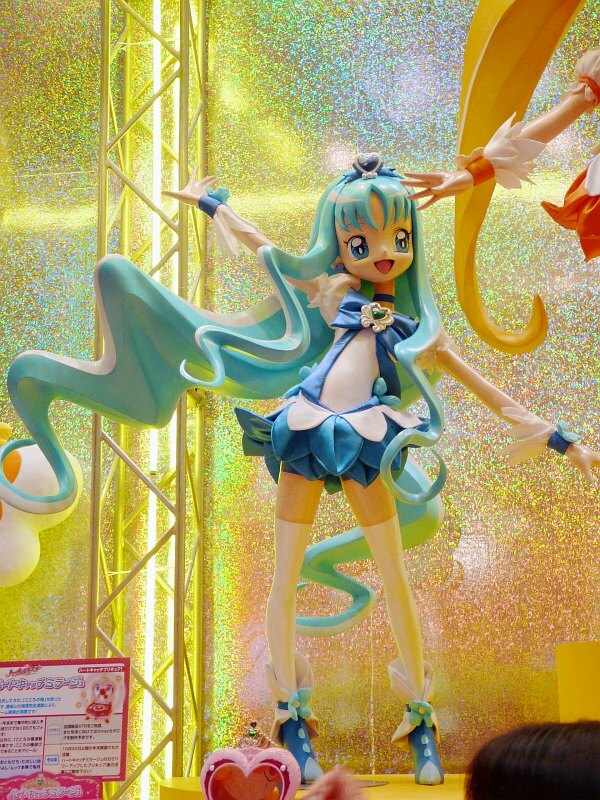 Pretty Cures from ongoing anime HeartCatch PreCure!. 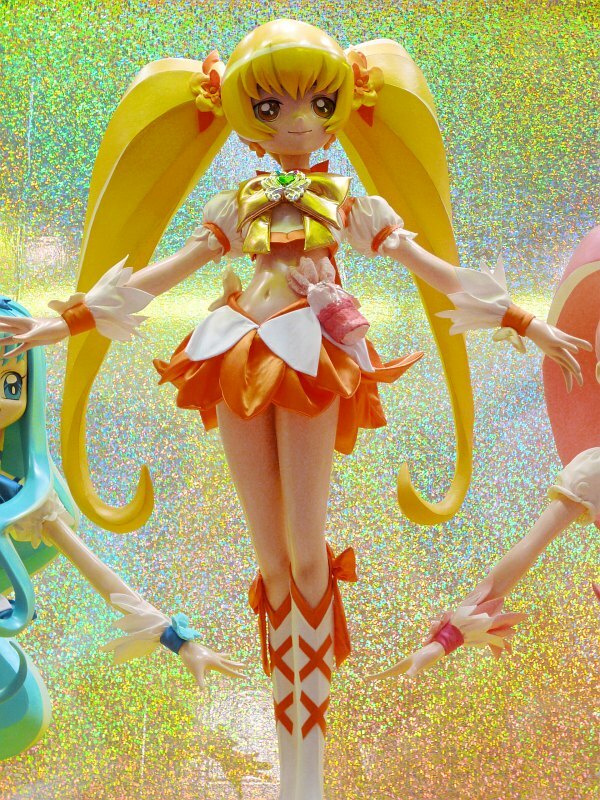 The new character Cure Sunshine. 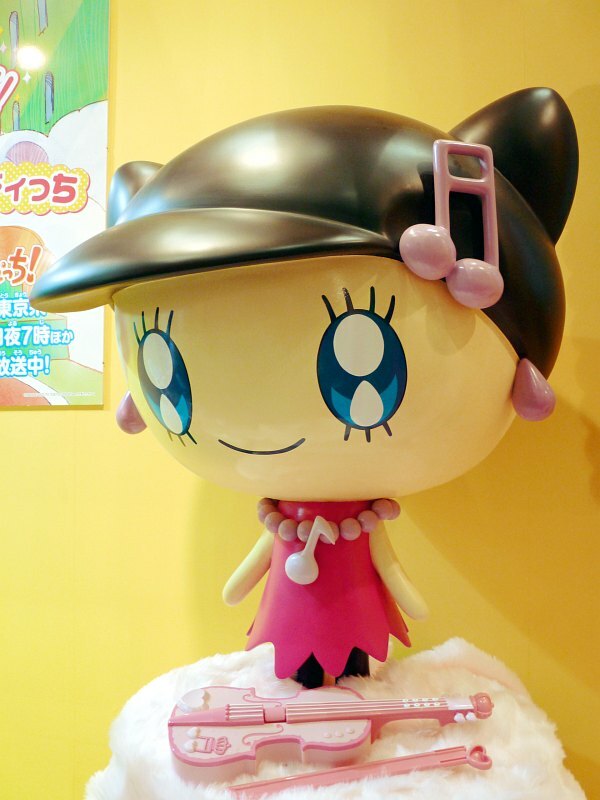 New character Meloditchi from the anime Tamagotchi! 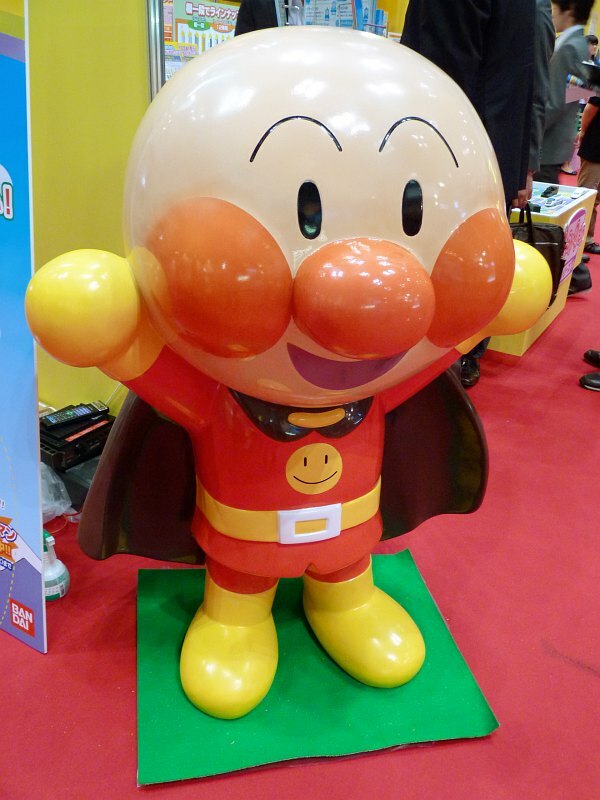 This Anpanman was about 3ft tall. 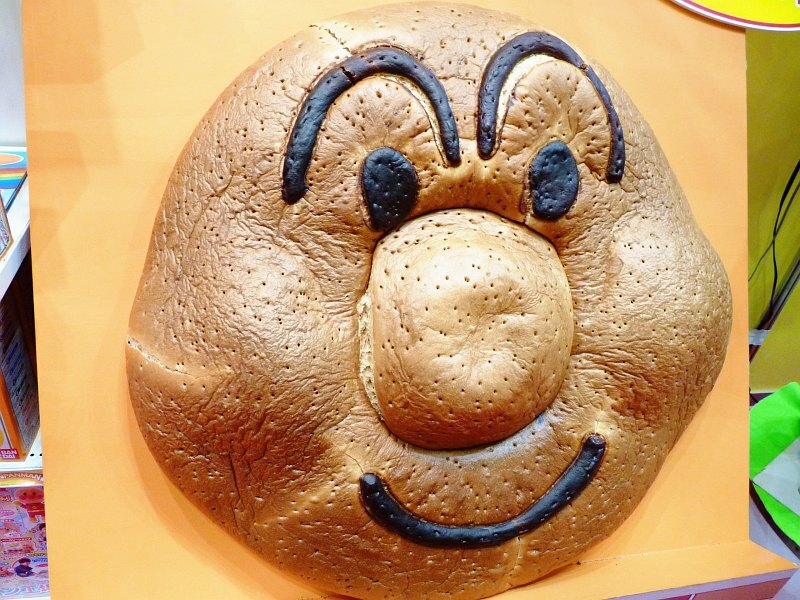 This rather realistic take on Anpanman might scare the kids. 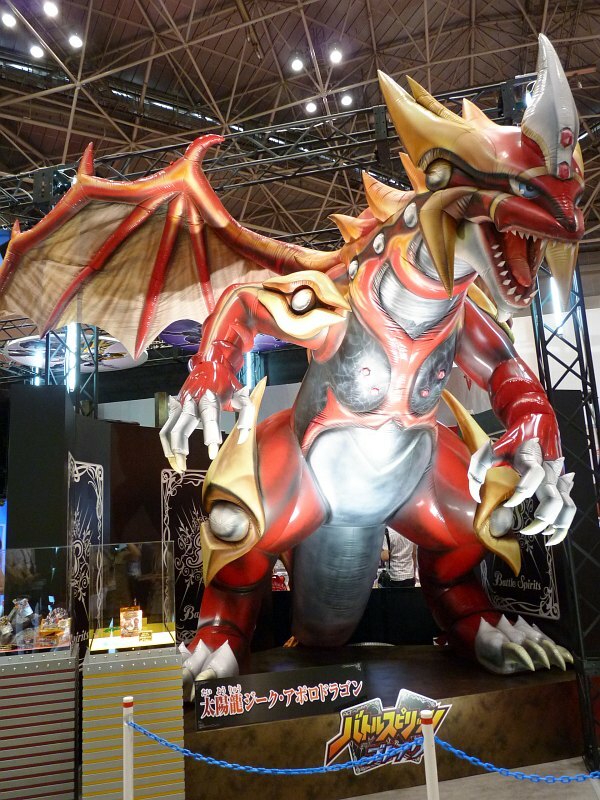 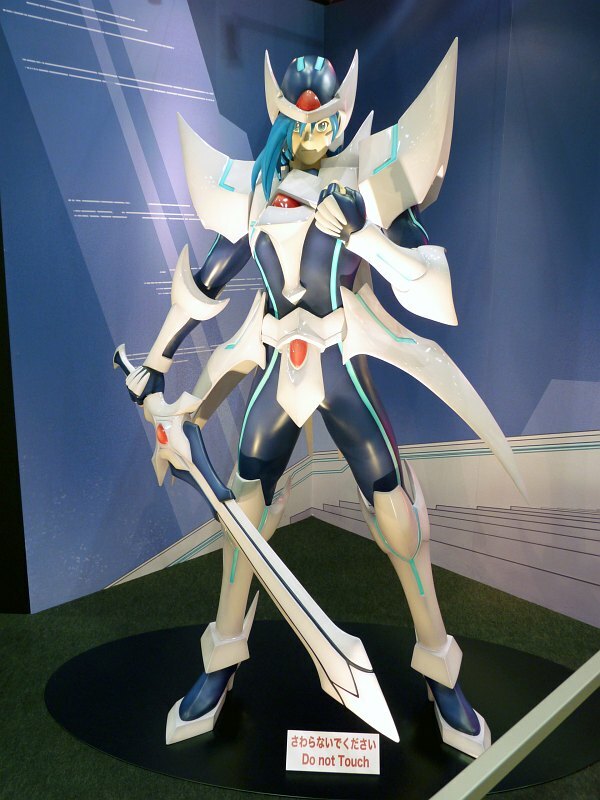 Apolo Dragon from upcoming TV anime series Battle Spirits Brave. 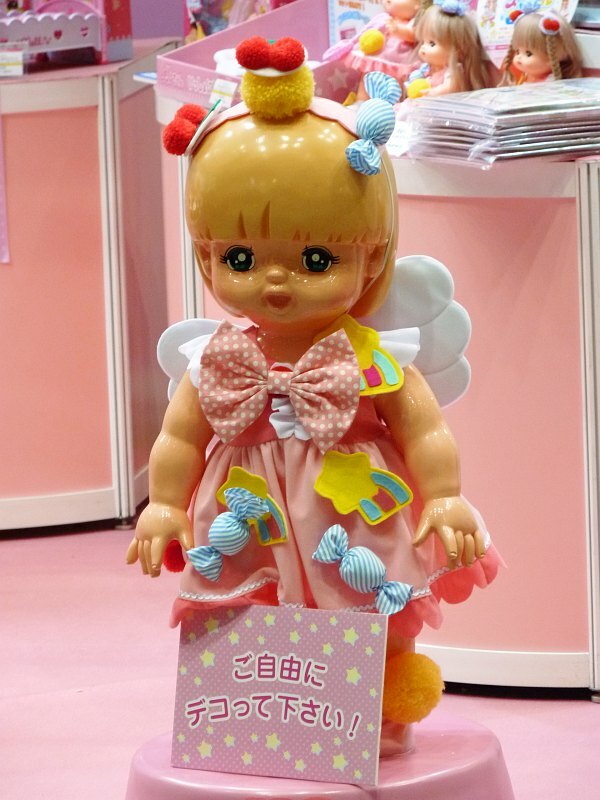 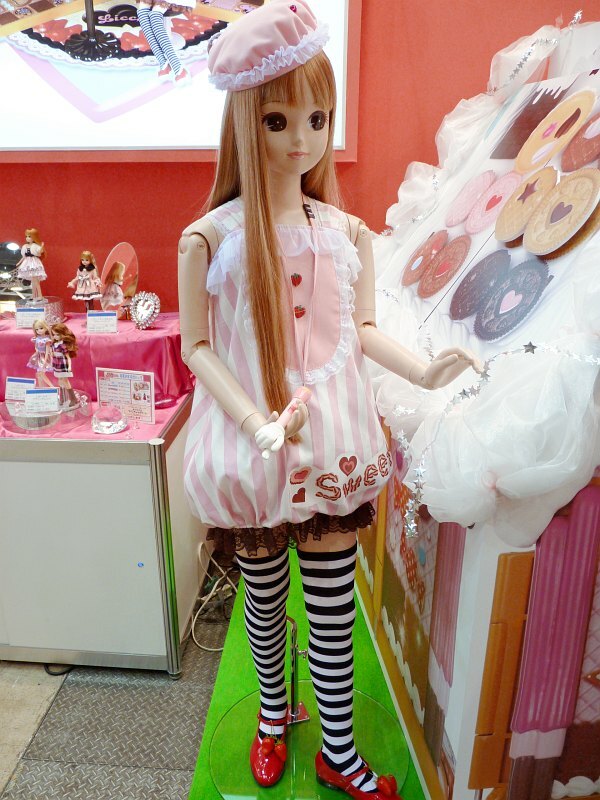 Mell-chan is a doll that change its hair colour when bathed. 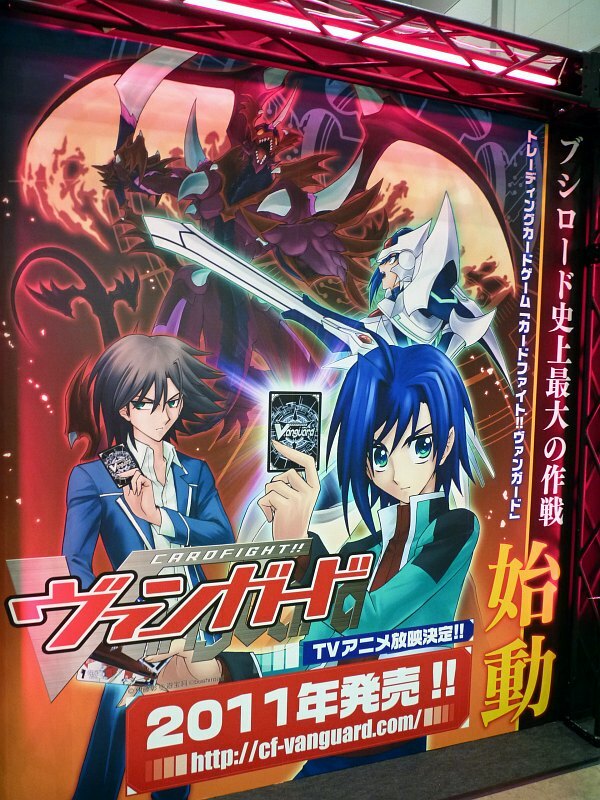 CARDFIGHT Vanguard is a collectible card game which is to be adapted to an anime series in 2011. 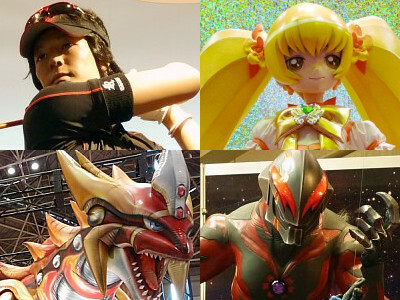 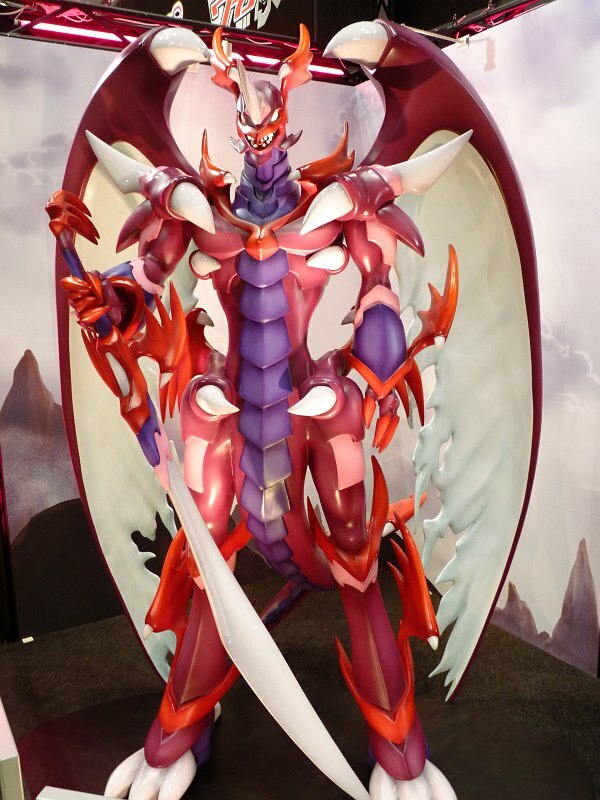 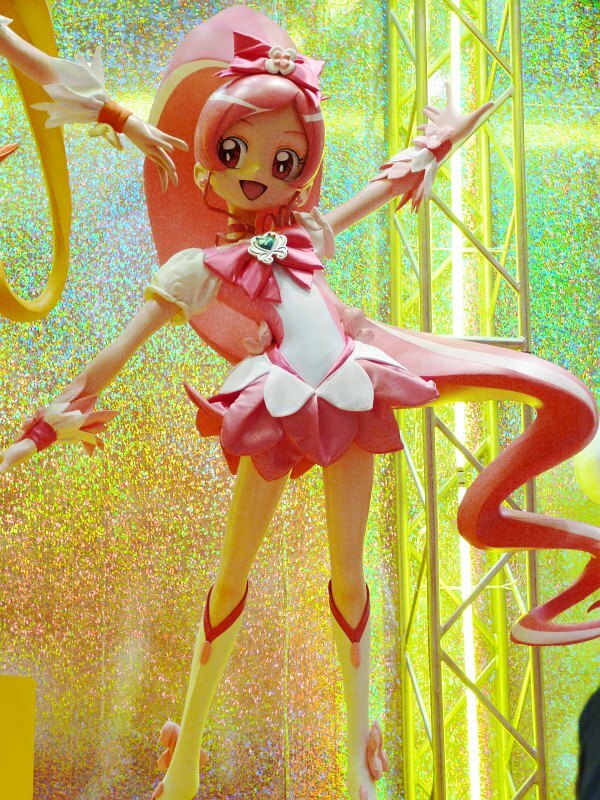 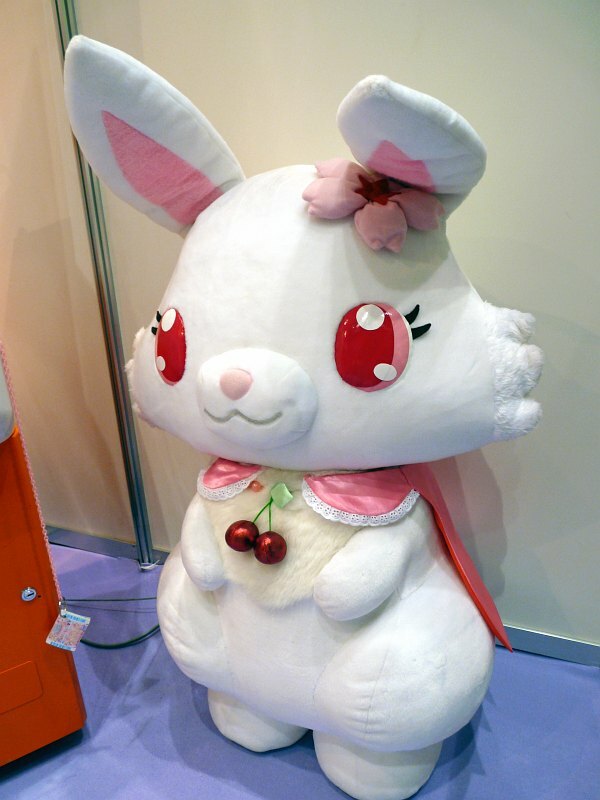 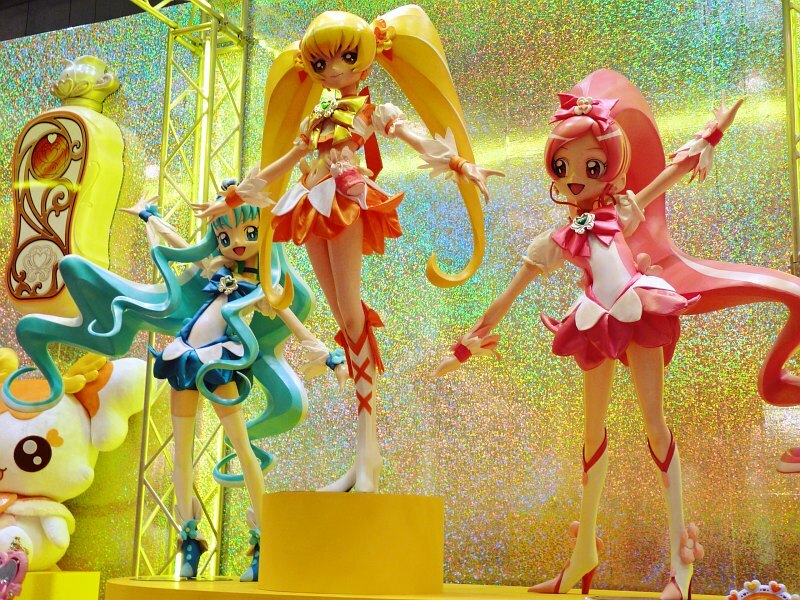 Huge figures were on display at Bushiroad's booth. 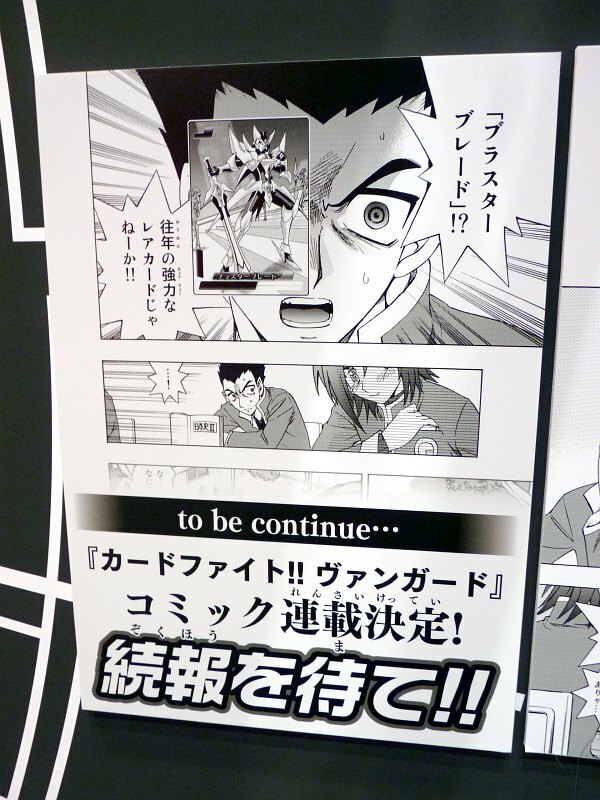 There will also be a manga adaptation. 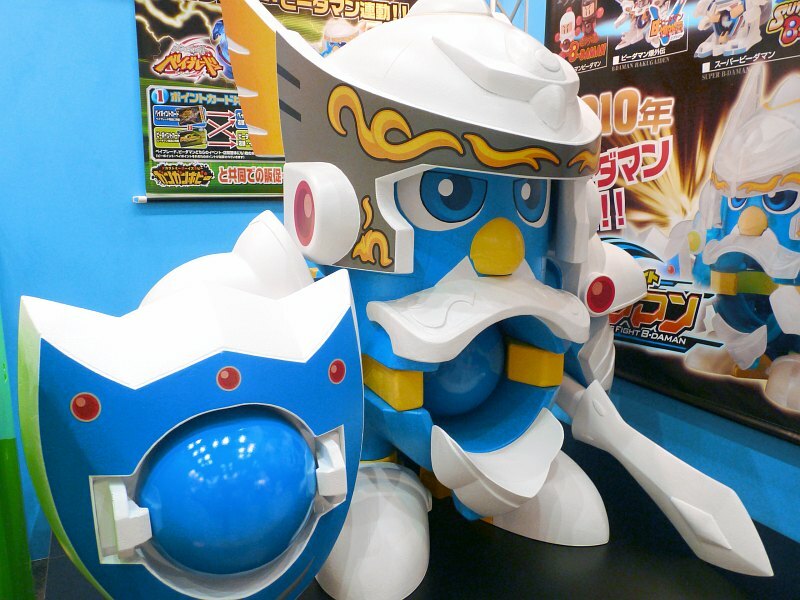 Pen-B Blue from Cross Fight B-Daman, the new line of marble shooting toy B-Daman. 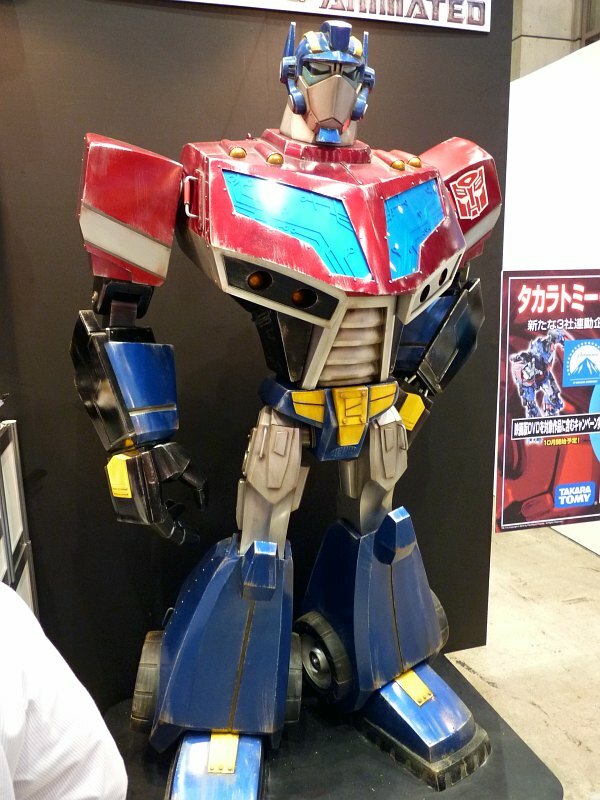 Optimus Prime from Transformers Animated. 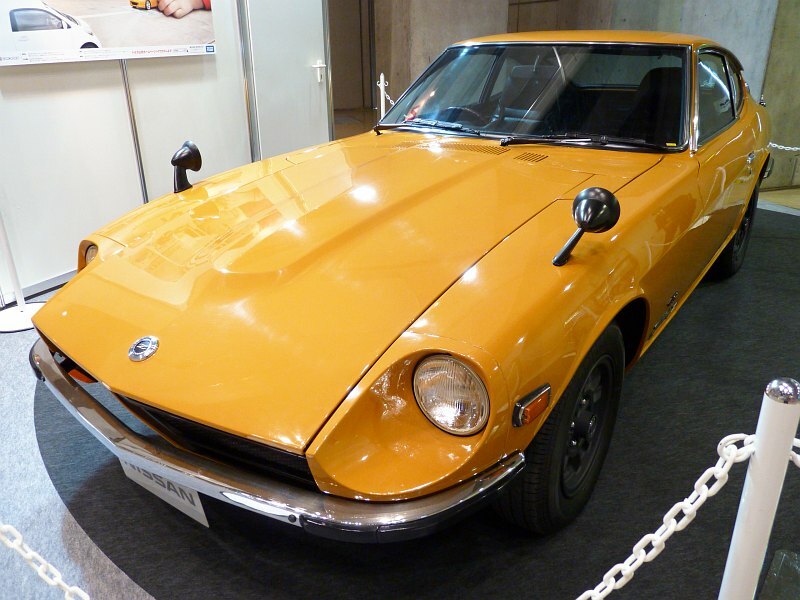 First generation Nissan Fairlady Z(Nissan S30) exhibited at Nissan's booth was not a model but an actual car from the '70s in mint condition.